A literature review can be standalone. This type of review contains no original or additional research to present. This review provides a synopsis and analysis of the arguments and ideas in the literature. A literature review can also be a part of a larger piece of work. This includes a part of an article or thesis. This type of review gives an overview of the relevant research as well as providing a base to which the researcher can link their own new research findings. If your review is standalone it can assist in forming a knowledge base of information in that area. It can also help in bring you up-to-date on issues and research in your area. A literature review can also be useful as a part of a larger piece of work such as a thesis. A literature review can assist in demonstrating where your research fits into the existing material already published. It will help show how your research is original compared to research already undertaken. A literature review will also demonstrate your personal knowledge in the area and show that you understand theories and ideas around your area of research. 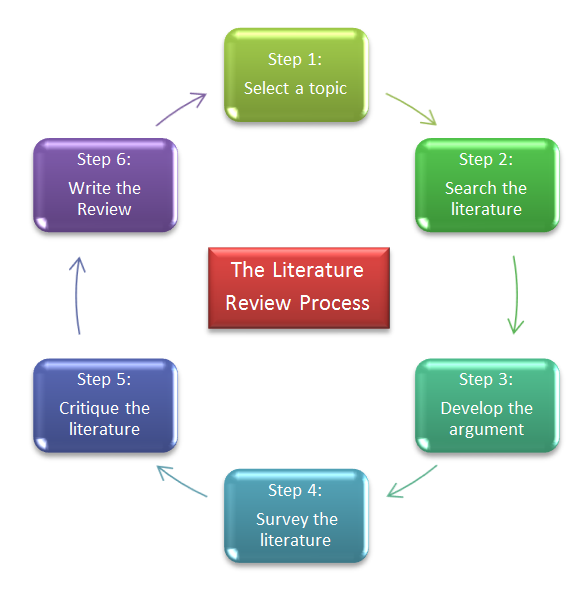 A literature review is essentially an analysis or synopsis of a collection of scholarly material. You should focus your review on a specific topic, issue, research method, area or theory. Literature for the purposes of review may include journal articles, books or theses completed at an Honours, Masters or Doctoral level. A literature review includes an analysis of the literature. This can include examination of an area of research, a particular issue, concept or theory. The analysis should include a critical evaluation of significant literature in your chosen area. You may analyse areas including distinguish features or points or view in the literature. Your analysis may include highlighting weaknesses within the literature or need for additional research. If you are writing your literature review as a part of larger piece of work your literature review should demonstrate your knowledge in the area you have chosen. The review should also assist you in in developing your own ideas on the area and show where your research fits into the material already produced. Remember to always consult with your research supervisor or lecturer about requirements for your particular literature review. The process can be broken down into 6 steps as explained in The Literature Review: Six Steps to Success by Lawrence A. Machi and Brenda T. McEvoy, page 5, as demonstrated below.